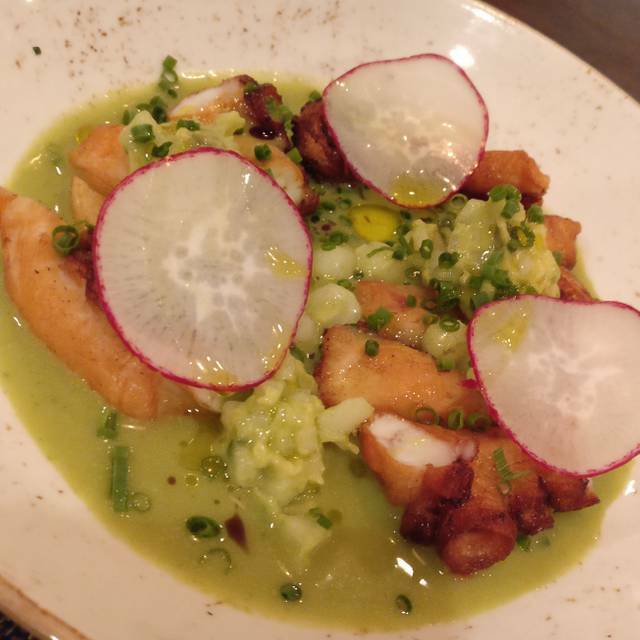 Charcoal is a BYOB that boasts a modern American fare in a casual environment. 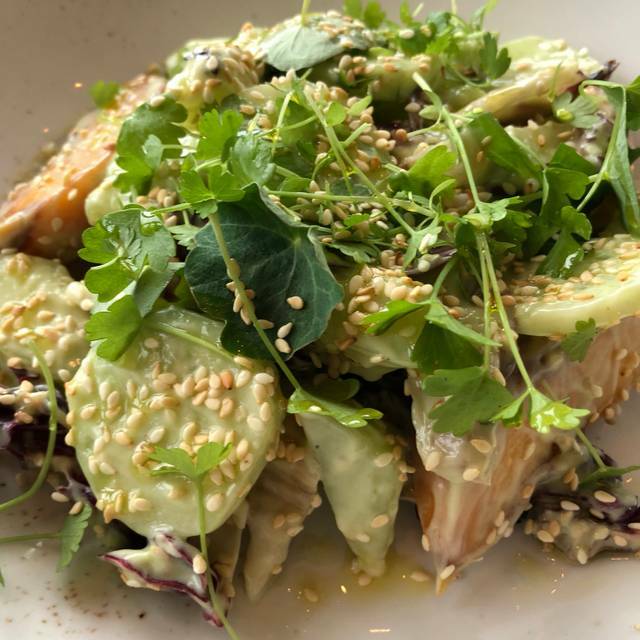 We source the finest ingredients and believe in a healthy relationship with local farmers and purveyors, creating food which is thoughtful and precise. Our menu is a reflection of the season and how we feel at the moment. Among Best pasta on the planet! Surprisingly great food. The chefs obviously care a great deal about every dish, and it shows. Most of the food was excellent. Don't recall ever paying for bread at a restaurant but it was worth every penny, nice crusty outside with soft center. 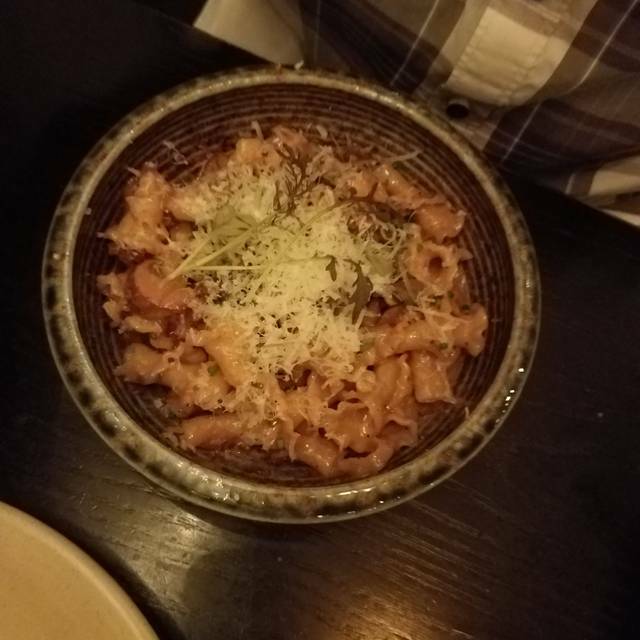 I was happy to be there when the soft shell crabs are in season because the dish was wonderful, and my wife enjoyed the Rye Radiatori, the bacon bolognese was one of the best I ever had. I would skip the Oysters Rockefeller next time. Good food and river view. Menu is pretty basic for breakfast and lunch. This place is a treasure, especially for breakfast. The food is delicious and reasonably priced, and the view is the best in Yardley or anywhere near. The food keeps getting better each time we go. As it is close to my house, we dine here frequently. However, even if it was not close by I would still go here often, because it is that good. The short ribs were the best I have had anywhere. ...Very creative, well prepared food. I real treat for foodies!! Very good food! Our server was knowledgeable, attentive and kind. We appreciated that they tried to be sensitive to noise levels by seating groups and children at one end of the dining room and couples at the other. Charcoal is always fantastic. 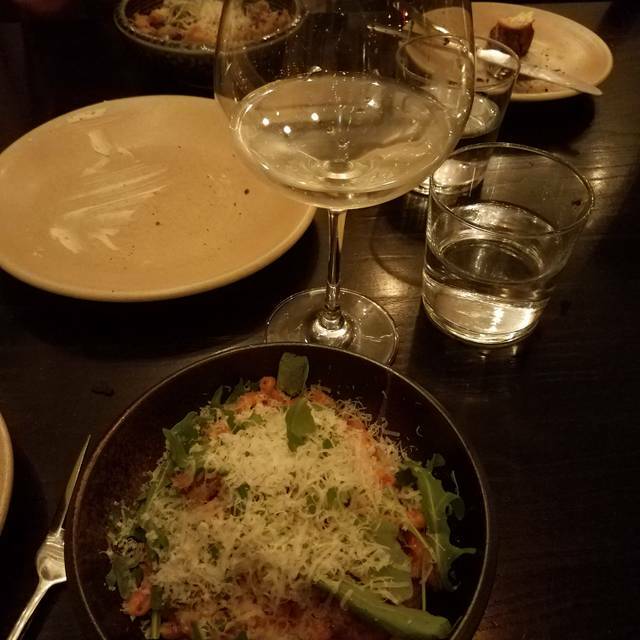 AMAZING food with a menu that changes seasonally (the cacio e pepe is a mainstay and never disappoints). Not cheap but worth every penny. Absolutely fantastic from food to service. Already booked my next dinning experience with them. Great river view. Excellent service. 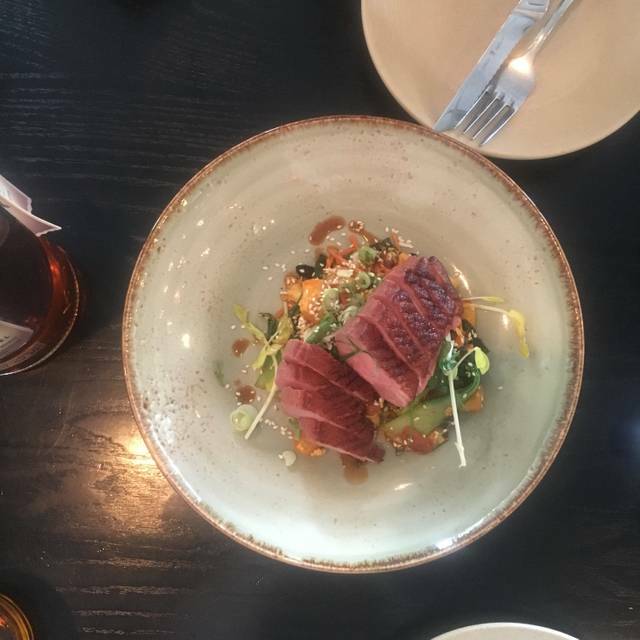 Consistently excellent food - there is always something craveable on the menu, Solid service, a lovely environment that manages to feel special and relaxed at the same time. Really, this is the best all-around restaurant in the area. Another very good meal at Charcoal BYOB. A limited menu is usually a good sign and Charcoal is no exception. 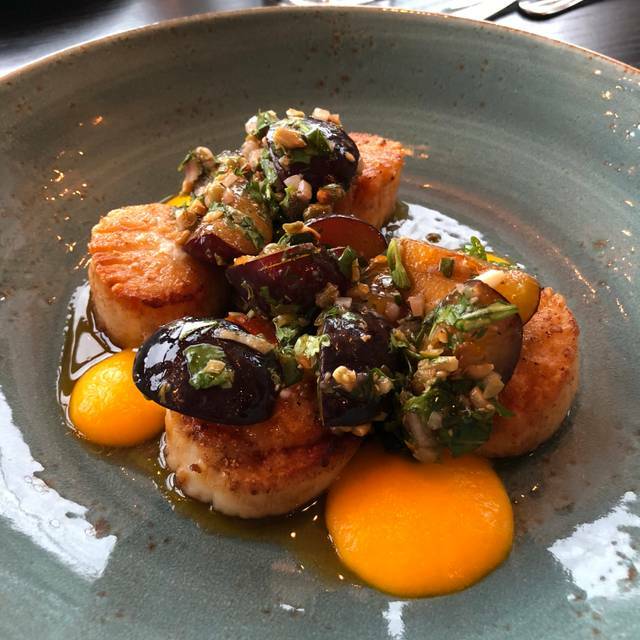 We feel so lucky to have such an excellent restaurant in Yardley. 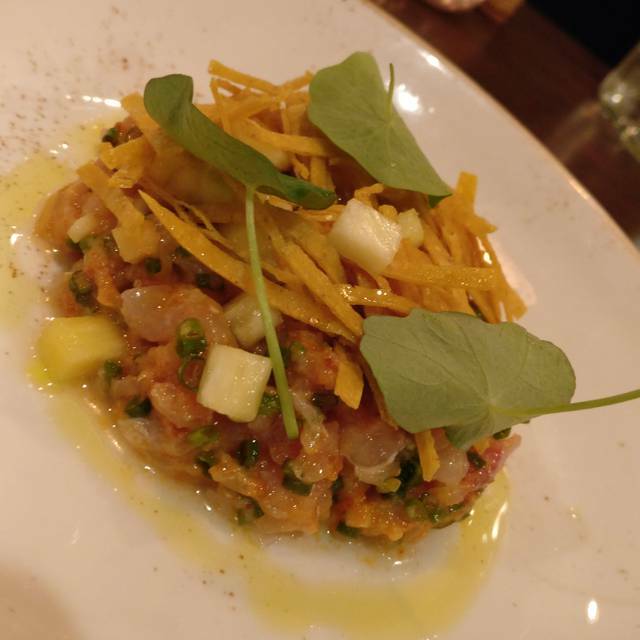 Looking at the river while eating creative and delicious dishes is always a treat! It has no equal in this area. Another very tasty dinner at Charcoal. The new appetizers with shrimp/grits and salmon/greens were superb, and the pasta for the main course was perfect. Our lingering concern is the prices ($18-20 apps and $25-37 dinners) for a local bistro. But the food is way better than Harvest and Roccos so its worth it. The chef-owners are dedicated to providing each customer with an outstanding and creative culinary experience...both in taste and presentation. Clearly great attention to detail has been lavished on each dish. This is our third visit to CHARCOAL. Two dinners and 1 breakfast thus far, and we intend to continue experiencing the amazing and unique cuisine. CHARCOAL has become easily our favorite restaurant when we can make it down to Yardley. (We don't live nearby, sadly). The short ribs with parsnip puree was tender, intense and had a bit of a kick to it, thanks to the Calabrian peppers. The duck breast served over Angliotti pasta (all homemade pasta here, folks!) was sublime. Rich slices, crispy skin, perfectly prepared. Also, the chefs enjoy being playful with many of their dishes. For example, the dessert list, while short, is filled with dishes which are reminiscent of one's childhood, but re-imagined in an upscale, more adult and sophisticated way. Soft serve ice-creams are seasonally flavored and luscious. Recently one new dessert was a funnel cake, but underneath it was served with a rich cream and berries. Amazingly simple, yet elevated to a new level of deliciousness. A chocolate mousse is served with sugared walnuts and sea salt...again, a familiar dessert we all know comes with a new enhanced twist. Oh, and I cannot forget to mention the bread baked there. Served as an appetizer with soft butter, it is worth the $5 for those 4 thick, crusty slices. It is a must here. It's always a great delight to savor a visit to CHARCOAL. Looking forward to many. many more! They crushed it on everything we tried. We started with the bread and the cauliflower app which were both phenomenal. 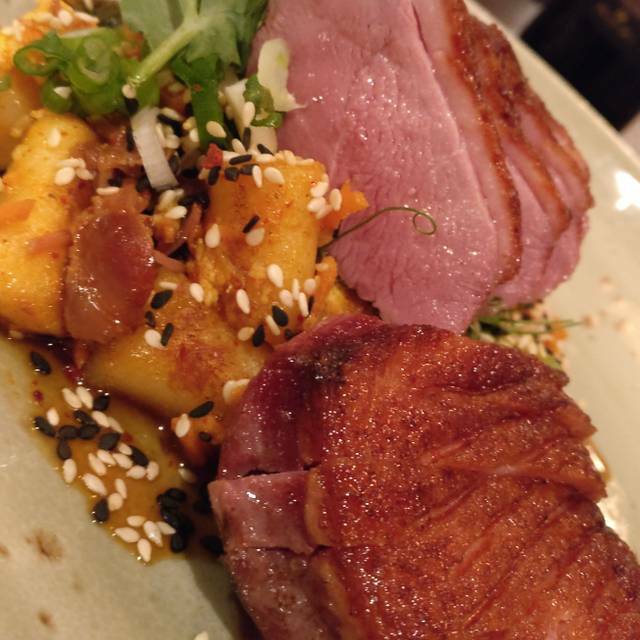 We had the duck breast and scallop entrees and were completely blown away by how great they were. We live an hour away and will make it a point to go back frequently. My favorite restaurant in the area! Innovative menu that taste delicious. The chef really understands the balance of each dishes. Our favorite appetizer is the cauliflower dish. The pastas and main courses are amazing. The best part is the mouth watering donut sundae!! Always a pleasure to experience the dining experience in this establishment. This is our second time coming to charcoal for dinner. We enjoy both experience. We will definitely come back again. I highly recommend the oyster, calamari, praises prime rib, diver scallops, last but not least THE DOUGHNUT SUNDAE!!! Fabulous food!!!! The appetizers- cauliflower was amazing! The homemade pasta and fried chicken was to die for! Best food in Mercer/Bucks area. Always creative, delicious and a pleasant vibe. My go to for great food. Delicious lunch. Slightly overpriced for what you get. But a good meal. Impressed with overall experience of the Restaurant. Could be more choices. Views were lovely. Could be more flavored iced teas. The short ribs were outstanding so were the scallops. Only minus was the noise level. Service and food were amazing. We were expecting a long wait but lucked out and got seated right away. Our server was excellent, views were lovely and we thoroughly enjoyed the food. We will definitely be back! They are always updating their menu with the best and freshest ingredients of the season. From the pasta creations to the delicious meat dishes, never disappoints. The duck was cooked to perfection and tasted delicious! Usually our experience is top notch at Charcoal BYOB. The food experience is unlike any other but the service this time around was a little slow. We will be returning because you can’t find food like this anywhere in the area! Just keeps getting better. We come to Charcoal about twice each year and always have a fabulous meal. This time was the tops! Every dish was PERFECT. Only gave it four stars because the teens had trouble choosing an entree that they would like. The adults loved the ecletic menu. Food was creative and delicious. 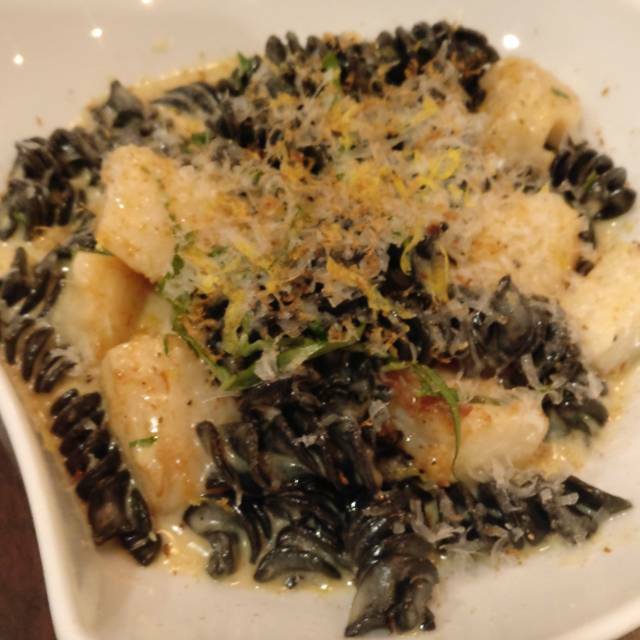 Amongst appetizers and entrees, we tried 2 of the house-made pastas and both were incredible. Our server was friendly, knowledgeable, attentive but not distracting. Looking forward to a return visit soon. Went for Birthday. Short ribs were good. Calamari was very tasty. Bread was awesome, as was the brioche with ice cream. Highly recommend.